When you picture who typically files for bankruptcy, you may envision people in their 20’s who spent recklessly or people in middle age who suffered job loss or high medical bills that made their debt soar out of control. Likely the last image in your mind is senior citizens, but surprisingly, they “are the fastest-growing segment of the population seeking bankruptcy protection, according to a recent study from the University of Michigan Law School” (USA Today). 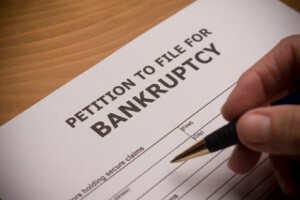 If you are a senior considering bankruptcy or your parents are,other than hiring a bankruptcy attorney, there are several things you must know. Seniors often wait longer than they should to file bankruptcy ( If you are in San Diego, you can visit San Diego bankruptcy) and use up a large portion of their retirement trying to pay down debt. Not hiding your debt, as difficult as it may be, is often the first step to regaining economic control. Also, speak with a professional early, as soon as you realize you may not be able to afford to pay back all of your debt.